Discover high-quality, pre-owned CNC and fabrication machinery at affordable prices. Browse through our inventory using our Smart Search interface, and narrow down your search with simple filter options. Your go-to online destination for purchasing high-quality, pre-owned machinery at affordable prices. New sale events and inventory are added each week, providing virtually unlimited options to fulfill your needs. 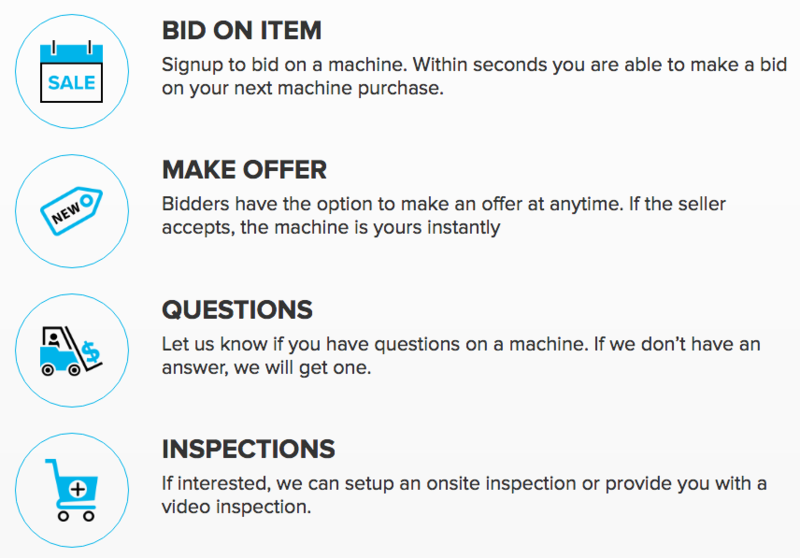 Browse our large selection of high-quality pre owned machinery that has been vetted by our in house auction team ensuring the condition of the machine and the credibility of the seller. Browse through our select pre-owned inventory using our Smart Search interface, and narrow down your search with simple filter options. First, select a Category and a specific type of machine. Once your options are listed, refine your search by filtering by Brand, Age, Price and Control. You'll have access to the most relevant options on each machine. Compare up to three machines at a time for the most accurate perspective. If you're not ready to buy right now, you can save your search and all of the machines you viewed for future use. Access them through your MMI Insider login. 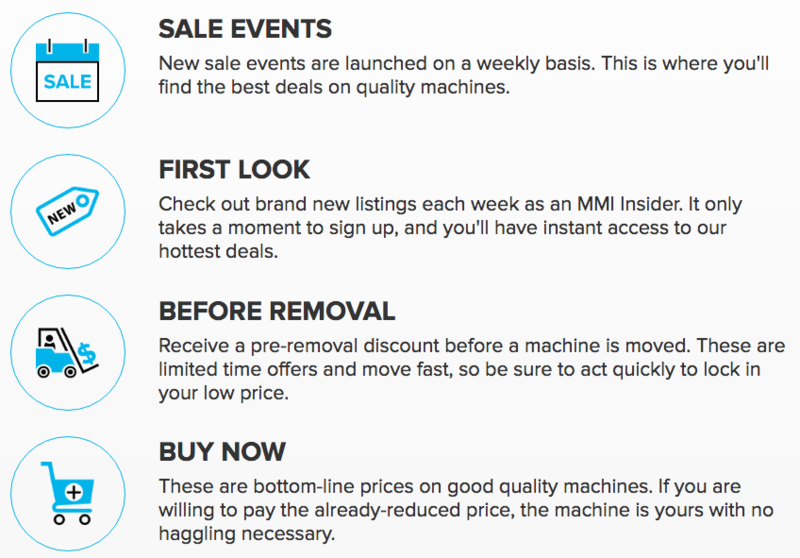 We add new listings every day so make sure to signup for your MMI Direct Insider account and complete your profile. This will give you the inside track on new listings that meet your buying profile. If what you are looking for is not found, post a Wanted and MMI's Global Sourcing group will dig in and get to work. This saves you time while providing access to the industry's most pristine assets not yet available through the web. If interested, we can setup an onsite inspection or provide you with a video inspection. Let us know if you have questions on a machine. If we don’t have an answer, we will get one.